All Star Karaoke Challenge was the first singing competition of it’s kind in Ontario to offer Wireless Audience Remote scoring with on screen immediate results. Our Karaoke Challenge allowed contestants to invite their friends and be part of the voting system. With 30 Wireless remotes per show available, audience members were encouraged to come early to reserve a remote. 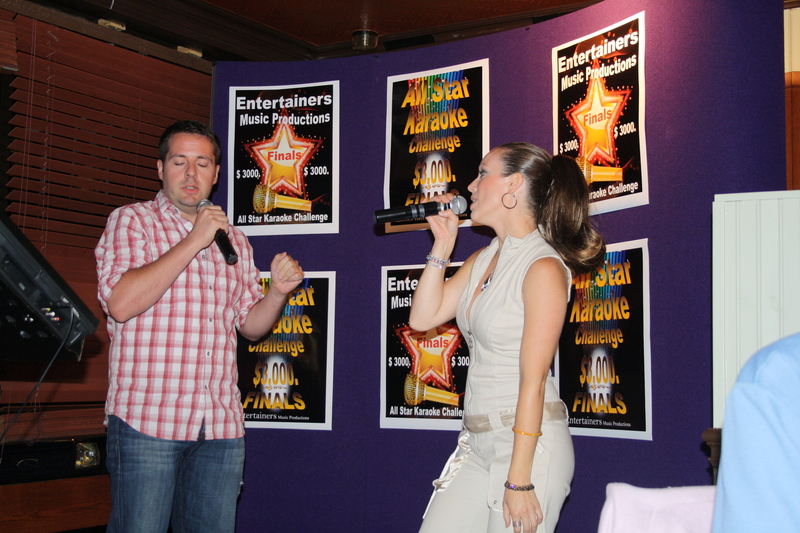 Our All Star Karaoke Challenge was set up in ten Restaurants from Markham to Durham Region. Three to five contestants advanced weekly in each venue to the club semi and finals. The Grand Finale featured Winners from all restaurants that had activity in our promotion. During the qualifying period (10 weeks) patrons, had fun judging and advancing the nightly participants to the Club Quarter Finals. The Duets segment which is rarely seen in most competitions, provided an opportunity for contestants to perform with a partner. Quarter, Semi, Club Finals, and the Grand Finale featured 3 qualified judges with musical background utilizing the same wireless system.This ensured fairness and added integrity to our promotion. Semi Finals & Restaurant Club Finals held Monday July 11, 2013 saw rooms full to capacity buzzing with patrons. A great summer evening with patio’s full featuring excellent entertainment on the inside. The Grand Finale held at Chasers Bar & Grill in Oshawa, achieved the same results with patrons and contestants enjoying the evening’s program and entertainment. We are excited to offer an additional seven prizes valued at over $2000 in this years All Star Karaoke Challenge. Our promotion launch date is scheduled for June 17, 2013, to run consecutively excluding long weekends. Contestants may pick-up full detailed brochures and entry forms in each location presenting the All Star Karaoke Challenge. Good Luck, and we look forward to seeing you at one of our shows.